Social Entrepreneus at Bartar Saradamoni Mission in Purulia has done wonders. They are running a school in a difficult terrain for 350 children including 55 boarders and 18 orphans. Doing on their own, they end up with deficit of Rs 5 lakh/year. This is mostly met by gap-funding through donations. A 15 Kw solar system costing Rs 6 lakh could give them a saving of Rs 20000 per month. 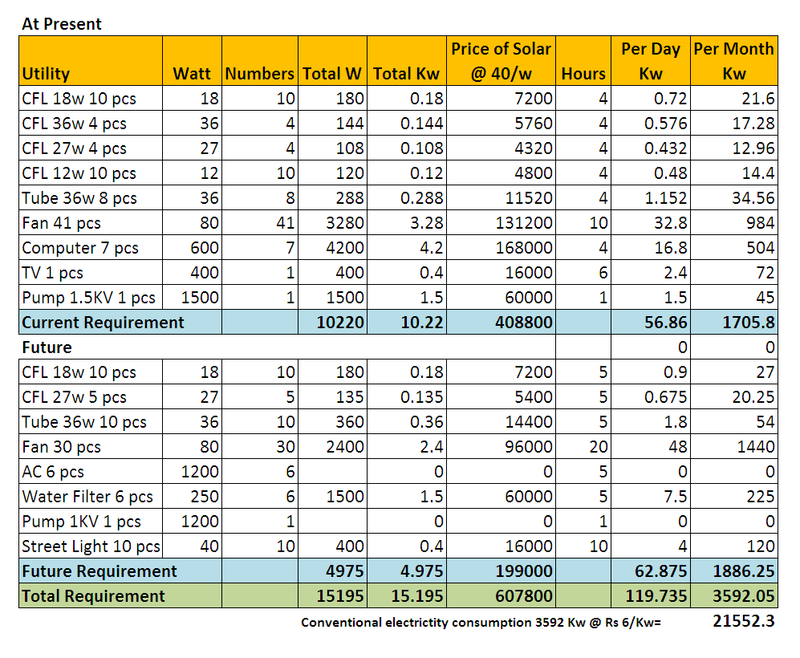 The adjacent table gives an indication of current and future needs in terms of kilowatts and tentative costs. Would you be interested in owning up the project or sharing a partial cost? For any query regarding this project!